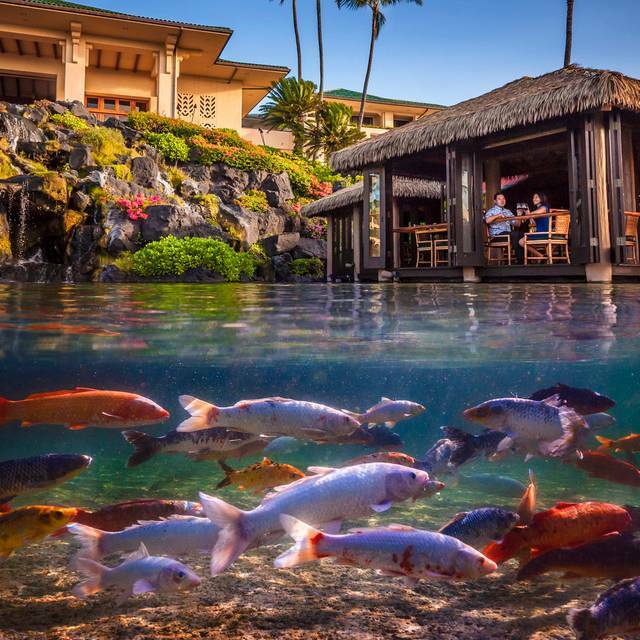 You must make reservations at least 5 minutes in advance of the time at Tidepools - Grand Hyatt Kauai. Free valet parking at the Grand Hyatt Kauai for diners. Plentiful self-parking also available with easy access to the restaurant. The most romantic setting on Kauai. 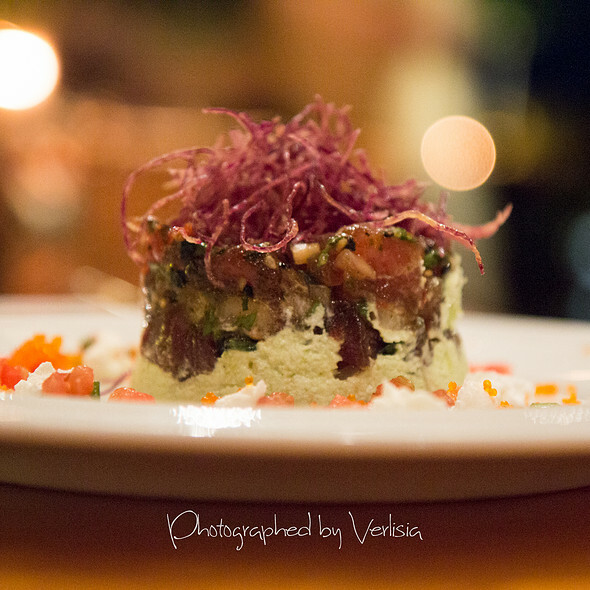 For the ultimate in ambiance, delectable food and stellar service, Tidepools is the place. This quintessential Hawaiian setting has a backdrop of waterfalls with thatched roof bungalows that seemingly float above tropical lagoons. Savor contemporary Hawaiian style cuisine in this distinctive open-air setting. Diners rave about the exceptional service and fresh fish and steak options with a unique island flair including macadamia nut crusted mahimahi, grilled opah or a succulent steak. 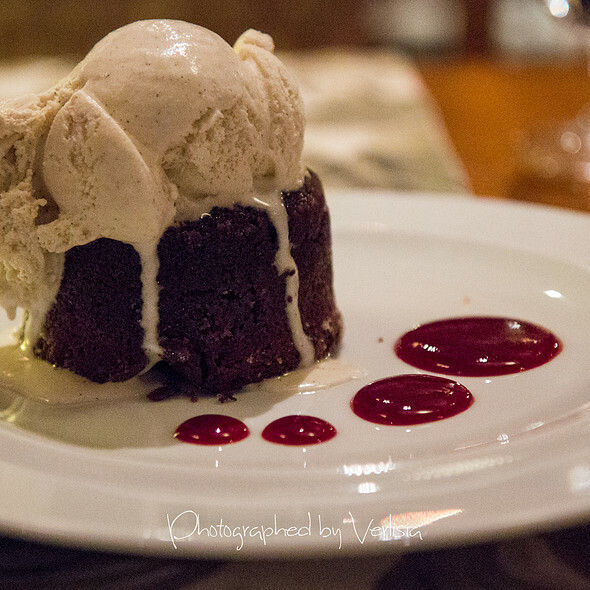 Salads feature greens grown at our hydroponic farm on site and the desserts are luscious. Don't miss this delightful experience. Amazing food and service! And what a beautiful setting!!! Will definitely return to Tidepools. Tidepools was my favorite restaurant for years. 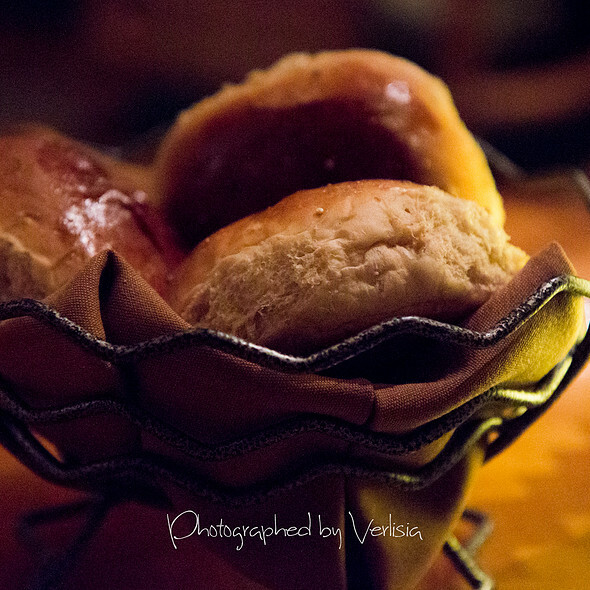 I loved the menu and the atmosphere. I hadn't been there in a while and the menu changed dramatically. 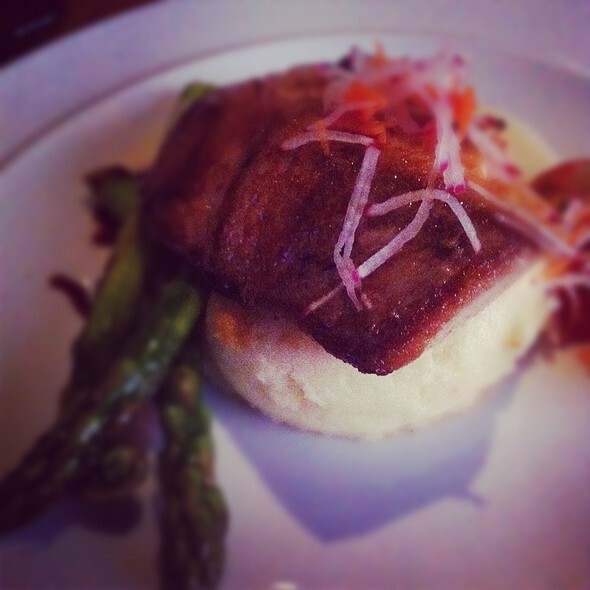 I ordered the fish special (for $55) and the best thing on my plate was the asparagus. It was very disappointing. My husband's steak was pretty good - still not worth what we paid for it. On the positive side, the service was good and the ambiance is still enjoyable. I just wish the food was as good as it used to be. Service was good for the four of us. We ordered a bottle of white wine for the table and it was warm. We asked to leave it chilled longer but they continued to pour the bottle even as it was too warm and then didn’t even take the empty bottle away. 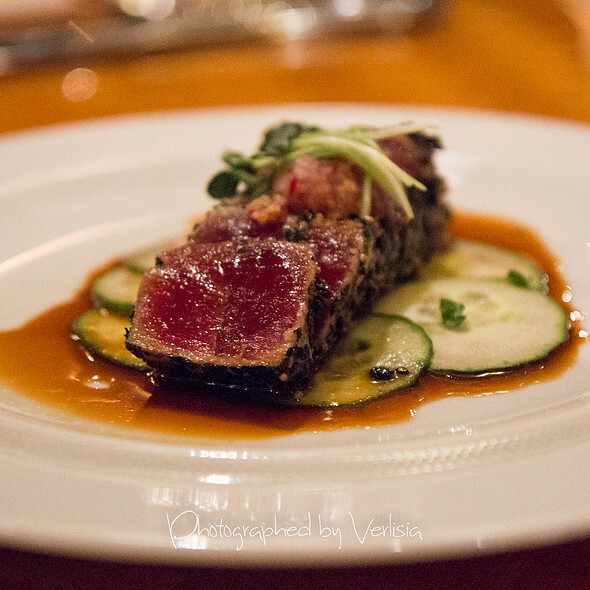 Ahi was a disappointment to similar dishes on the island but the rest of our food was decent other than overpriced. We expected a better experience for the price. Love, Love, Love Tidepools. Such a treat in every way. Can’t wait to return. Very cool spot at the hotel. Amazing restaurant! The scenery is beautiful and service is exceptional. Wait staff takes the time to serve you. Great kids menu as well, not your typical chicken tenders and mac & cheese. Fabulous. Went above and beyond to Make us feel special. Might even go back this stay. Disappointing ... as our anniversary dinner we were sat at one of the worst tables in the restaurant. Service is marginal ... clearly little to no formal restaurant etiquette or training. Food is OK, veg sides were undercooked or over cooked, sloppy use of sauce and crab to hide poor fish quality. At the Grand Hyatt, go to Stevenson’s Library for the sushi - Tidepools and Dondaros are bad values. The food and especially the wine was very overpriced. In addition, we were charged two $15 share plate fees without anyone saying this would be the case. We could have purchased a third entree for the cost of the two shares. A bottle of Kim Crawford wine, normally a $10-13 a bottle at Costco or Safeway was $70 and no we didn’t purchase this...just an observation. I understand this is Kaua’i and prices are much higher for everything but and this was insane. The ambiance was nice but out of date. Hyatt sadly hasn’t remodeled this restaurant or property in many many years. Friendly staff on all interactions, awesome waiter with 29 yrs experience there. Felt most welcomed and cared for. Staying at the Grand Hyatt and the wife wanted steak. A little overpriced compared to most restaurants offering the same fare. Always amazing food every time we have eaten at Tidepools. It’s our favorite restaurant when staying here in Kauai. My wife and I think it’s the best atmosphere with the waves crashing in the background. Can’t reproduce that back in Oklahoma. Outstanding! Thank you so much, our dinner was wonderful! So much so, we dined with you twice in one week. Thanks again! Wow! What a great meal! If you are a Foodie this place is a must. The prices are a little more than other area restaurants, but the difference was worth it. The restaurant is set among several coy ponds. The coy were swiming right up to our table. The food was excellent and truely fine dining. I started my meal with the Thai Coconut Soup, my girlfriend started with the Argula Salad. We both had the Opah. In place of potatoes, the chef gave me a generous portion of vegtables. For dessert, mygirlfriend had the Lava Cake and I had the Coconut Mouse Cake. Everything was excellent. Gary, our server and other staff were friendly, professional, helpful, and knowledgeable. The dinner as described was $149 before tax and Gratuity. This is a must repeat on any future visit to Kaua'i. Romantic spot. Our waiter Les was hands down the best service we have ever received. He took the time to explain each entree one by one, answered all of our questions throughly and gave us his personal recommendations. He also let us sample the ceviche appetizer, in his words he didn’t want us to wonder what that would have tasted like and miss out. Outstanding service and quality of food all around. Best dinner we had on the island. Location can’t be beat either. Thank you again Les!!!! Went to dinner on Fri. 3/29/19 and have dined there 4 previous times on visits to Kauai. Everything was up to snuff until I bit my strip steak. The waiter had advised this was prime meat but it was NOT. Having had prime meat from Stockyards,Omaha Steaks,etc,Ihad a piece of lesser quality. The grissel I left on the plate something I have NEVER seen from the beef ordering web sites. Although the body of the strip was good, it was NOT for me close to prime. The rest of the meal was great as was the setting and hopefully no one else experiences this. 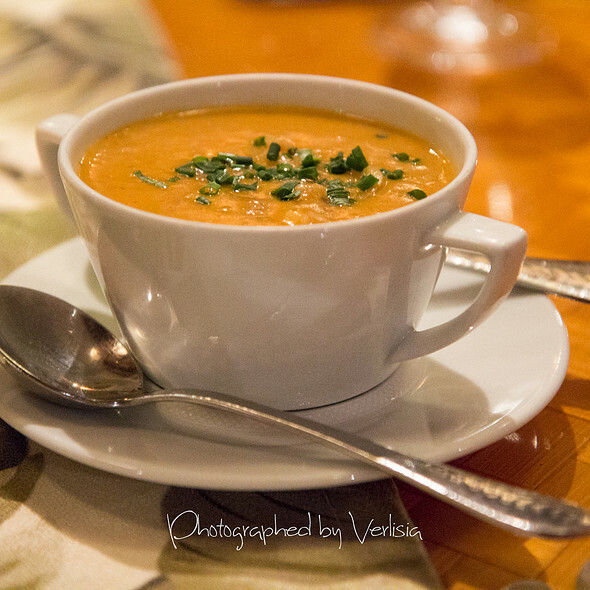 We had a pleasant time at Tidepools but we felt the menu was not up to par from our previous times there. We started with the crab cakes. Two years ago they were probably the best we’ve ever had. Now, they aren’t the worst but far from what we hoped for or expected. They changed the menu and dropped the prime rib which was tremendously disappointing. I had the filet with lobster. It was pretty good. My wife had the Hawaiian Catch. The Ono was over cooked. Service was good but the meal was a long time coming. It was a fairly unremarkable meal from a venue where we had come expecting the finest! Tidepools, in the past, has usually been the culmination of our visit to Kauai. We were somewhat disappointed. We were staying at the Hyatt and I booked this restaurant to celebrate my husband’s birthday. Our server described each entree in detail to give us a better idea of each food. We both ordered fish, and we both loved our food. A complimentary lava cake was given to my husband for his birthday. I would recommend this restaurant. An amazing five star experience from start to finish. Fantastic service by Joy which exceeded every possible expectation. Well done Grand Hyatt....thank you! Amazing food , drinks and dessert! It is expensive but great for a celebration dinner! Service is great; they take good care of you! Myself, husband and two teenagers enjoyed all our food from appies to dessert. Would highly recommend. When you look at the photos, you'd imagine a rainy evening like we had would spoil a romantic night out. But Tidepools is great no matter the weather. The ambiance is peaceful. The staff are attentive, but unobtrusive. The service and food are what you'd expect from an upscale restaurant--higher than usual pricing for higher than usual quality. Though upscale, you won't feel out of place in a smart pair of shorts and a polo shirt, or sun-dress, and sandals. Good wine selection. 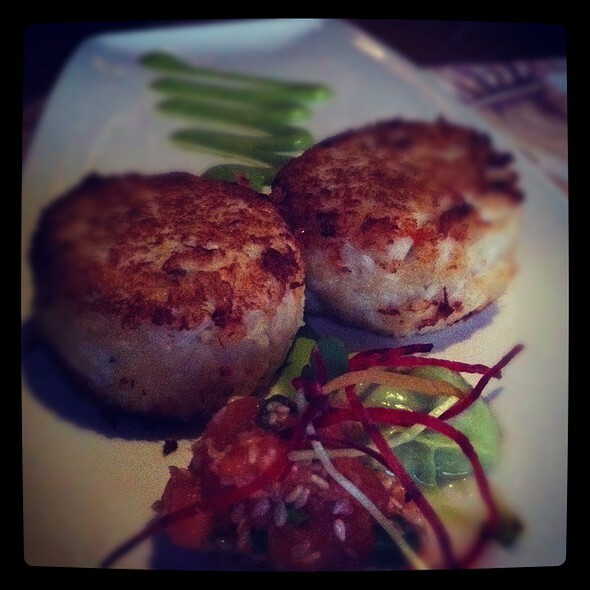 The crab cakes are some of the best I've had (being from Baltimore, that seems sacrilegious). Even though you feel like you should be ordering the fish, you won't be disappointed if you opt for their land options; especially when paired with their a la carte seafood offerings. The scallops were melt-in-your mouth buttery and their lobster makes you understand why people make such a fuss about lobster (I'd never understood anyone's obsession with lobster before. Unless you're from New England then, okay, I get it). Overall, if you're looking for a romantic night out, this is the spot. It was my husband’s birthday, our family decided to go to Tidepool to celebrate. Everybody enjoyed their food, service was excellent as well. Highly recommend! Loved this place yes, it’s pricey. If you didn’t realize that going in,it’s on you. Food is deli yams beautiful. Ambiance is perfect. Service stellar. Service was quick and friendly and food was amazing! Restaurant is absolutely beautiful! We have gone here 2 years in a row and have always been seated next to large noisy groups of 10 or more people. We are trying to have a nice dinner and can't even hear each other. I wish they would seat 2 older adults wanting to have a romantic dinner away from these large groups. Amazing! The food was impeccable! The ambiance was quite lovely. We had a seat by the koi pool which was spectacular. Our waiter was attentive and friendly. We highly recommend! Our waiter, Les. Was outstanding. Very knowledgeable. Great attitude. 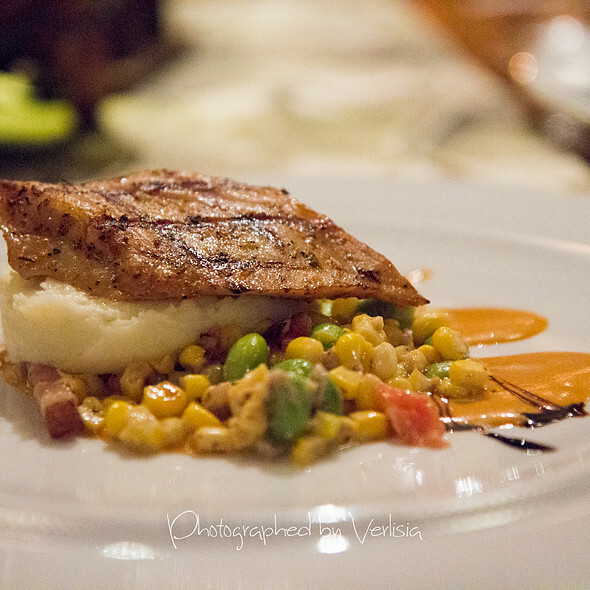 Food was delicious and atmosphere was upscale yet laid back. Great experience! Our 50th. Server was fantastic. Extremely friendly and helpful. Food so good we are going back tonight. Anniversary dinner with friends. Lovely setting. Food was delicious. Derek, our server made it a good evening. So did Ashley in the bar before we ate.